The comedy radio show I listened to was uncharacteristically somber. The DJs were known for doing some wild stunts, but pretending that two planes had hit the twin towers was unthinkable, even for them. It wasn’t long before I realized that this was news, not a stunt. I tamed the freak-out that was roiling inside me and called my boss, who told me not to come in to work as our office was right across the street from Denver’s own World Trade Center — twin towers of 50 or so stories, dedicated to international business. Relieved of duty, Tessa and I continued to my mom and dad’s house. My parents and I, like the rest of the country, were glued to the TV, unable to turn away from the horror, destruction, bravery, loss — the sheer magnitude of all of those things. A few weeks later, I introduced Dr Stephen Covey to a few thousand people who attended his leadership speech, sponsored by my organization. I had gotten to spend a little time privately with Dr Covey prior to the event, and I was supremely excited to get his take on 9/11. I was seeking spiritual guidance from him, something to counter the Us/Them, Good/Evil rhetoric I was hearing from other thought leaders. My hopes were high — Stephen Covey was the one who brought to me the message seek first to understand, then to be understood as part of his 7 Habits of Highly Effective People. I wanted a way to frame 9/11 as an event that was sparked by the worst in people — a feeling of separation and anomie so great that suicide and mass murder seemed like a good plan — and which consequently brought out the best in people — we are all familiar with the stories of heroism, of the people who played the hand they were dealt that day with courage and sacrifice and honor. I was looking for some way to reconcile the opposites, something to encompass everything in between, to see that the organism we call Humanity, while seemingly a bunch of separate beings, is, in reality, One. That the more the parts recognize they are components of the One, the less hurting of itself the parts will do. I was sorely disappointed. Dr Covey declared early in his presentation that, simply, There is Evil in the world. I think this is the easy way out. I think it’s much more difficult to try to understand what made such acts possible. I did not get that wisdom and insight from Dr Covey that day. So let me tap into your wisdom and insight. How might seek first to understand; then to be understood work on such a massive scale? What would that understanding look like? Could the simple act of seeking to understand bring a “peace that passeth all understanding”? Learning how to *unlearn* is harder than learning is in the first place. How might we seek first to understand, then to be understood? We have to understand ourselves objectively and identify our prejudices before we can *unlearn* our prejudices. If we can’t understand ourselves, the we will never understand others. We surely can’t ask to be understood by others if we lack an understanding of ourselves. This is the challenging crux of it all; misunderstanding on levels so deep that results in terrorism and violence are of the sort that is deeply rooted in long-established societal mores, over-zealous religious ideaology, and ethno- and egocentrism so concentrated that it is impossible look within oneself enough to be objective. Therefore, looking outwardly onto the world with the purpose of understanding others is difficult to make happen. But, I’m a dreamer, too. Unlearning *does* happen. If it didn’t, the Civil Rights Movement of the 1960’s wouldn’t have accomplished anything. The gay equality movement would be headed nowhere. My dream is that the unlearning happens faster than the cyclic learning of hate-based beliefs, and that the unlearning happens before another tragedy on the scale of 9/11 (or worse) happens. I am so glad you pointed out some situations in which unlearning did happen, understanding took place, and two sides came together. I think about this a lot, because I truly do not understand an agenda that seeks to kill those who disagree with it. Those who planned and executed the 9/11 attacks were not looking for acceptance or validation of their ideas. They were looking to cause pain, destruction, devastation. I cannot figure out what the gain from that intention would be. I suppose that Al Qaeda declared war (on whom, I’m not entirely sure). I suppose the attacks on 9/11 were a war strategy. But when those attacked do not even acknowledge or know that they are supposed to be fighting a war, how can there be any kind of peaceful resolution? Rather than saying that there is Evil in the world, I would say that you just can’t reason with fanatics. We have the luxury of not having experienced a challenge to our way of live at any time during this generation. The last time there was any sort of major challenge was the Civil War. I suppose that this makes us unable to comprehend that disagreement over a fundamental issue means that we should go to war over it. Our role has been police of the world – we don’t instigate fights (not directly, anyway). Even our involvement in WWII was in response to an attack – we didn’t truly address any of the moral issues involved. I wish that there was a way that understanding would bring peace. But, when parties seek only absolute adoption of their ideas, understanding their point of view has no meaning. But that’s my point. I doubt that the HJs thought, “We are fanatics and we just want to kill those who disagree.” From their standpoint, the strategy of suicide/mass murder was the best one available to them. Having lived overseas (in the Middle East among other places), I do remember the sensation that America looks different from the outside than it does on the inside. What if, instead of taking the “They’re Evil” shortcut, what if we tried to see what they saw? Feel the path that led them to do what they did? Is it possible that just the act of us doing so might diffuse some of the anger and rage? Being heard and understood can be such a gift, a disarming gift. Your question is too profound for me to ponder at the moment. I wish I had good answers for you, but I don’t truly understand what drives people to make the decisions they do. How they can be so unwavering in their vision that they can conduct such plans. That humanity doesn’t seep in or affect them. I wish he had given you something else to go on. I think what I have been trying to get at is that we can’t understand people well from our own viewpoint. We have to be willing to see THEIR viewpoint to understand the seemingly understandable. I suspect that the HJers and planners thought they were on a humanitarian mission. But they are concerned with different humans than we are. 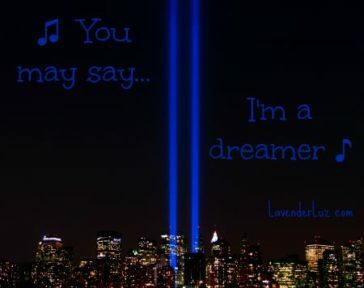 I am a dreamer too Lori and I have great difficulty understanding why and how those responsible for the tragic deaths on 9/11 became people capable of committing such acts. I am also a fan of Covey and his 7 Habits and am disappointed to hear that he didn’t have more inspiring and helpful comments to share that day. Yes, you’re not the only one. Dr. Covey reinforced duality, gave it strength. 9-11 is a consequence of the logic of duality, as is fanaticism. It is a compelling logic too. Oneness seems like a still, small voice. Yes! As they used to say, if you’re not part of the solution, you’re part of the problem. My inner voice tells me that moving from Duality thinking is the only way to solve this. More duality will not. I think it’s a question we have all struggled with since Sept. 11. The why. Why would any human do what the terrorists did that day to other humans? I have come to somewhat of peace with it through trying to be empathetic with the terrorists. Did they really feel so unheard, so much anger towards America that they didn’t see us as fellow humans but evil against their views? Their views and acts were not justified or right that day but I wonder what they must have felt to feel that this was their answer. I was saddened watching a documentary yesterday that showed people in Times Square right after the planes hit the towers saying we needed to bomb them and wipe them off the face of the earth. I know this was a quick reaction, but our collective reaction was to ensue violence against them and kill them. You are right, evil is the easy answer. Finding a stronger, better solution and answer is the right path. And the only way we can get to the Why is to walk in their moccasins, see the situation from THEIR eyes, where their actions made perfect sense. Because we are so horrified by the attackers, though, we are repulsed to go there. Yet that is where the answers lie. Sometimes the best attempt at unlearning and the most effective change can be in the education of future generations. Each of us has the power to influence the minds of children who respect us (especially our own!). The way forward is not only to seek to understand others and practice oneness, but to then teach a new approach to the younger generations. To truly “walk in their moccasins” you have to understand that so many of these terrorists have been stripped of their right to think independently, many having their beliefs controlled (hijacked if you will) from birth by people deeply steeped in many generations of hateful thinking (extreme duality). Those who have willingly entered into these extreme beliefs have often done so from a place of rejection and emotional weakness, unquestioningly embracing religious rhetoric that boosts their ego with acceptance and promises of great glory in return for their independence, loyalty and ultimately their lives. America may have lost sight of many beliefs that others in the world hold sacred, but we were founded on independent thought and it is our duty and privilege to help our children understand the power of forming and protecting their *own* beliefs based in compassion and oneness (even if they differ from our own)! This is not easy to do, especially when we as parents hold our own religious or political views dear. When our children ask us about the events of 9-11, or the shootings at Columbine, the day’s headlines, or simply why other people wear what they do, we must teach them (model for them) compassion for the accused, acceptance and tollerance for those who are different than they are, and an understanding of the dangers of duality. To answer your question, seeking to understand can only *begin* to bring about change by itself, but combined with a movement to model for our children a new way of thinking, it can have profound results! Your post is timely for me too. My hubby is studying at the U.S. War College this year, so his homework and reading all center on the science and philosophy of war. At the same time, I just started my Master of Arts degree in Transpersonal (Spiritual) Studies. My first class focuses on several topics including meditation and the profound effects it can have on me and on my world. So as quickly as Tom is filling his brain with “war” information, I am filling mine with “peace” information. A balancing of sorts. Some of our conversations have focused on the purpose of war at all. And we have very different viewpoints/perspectives. His seems more dualistic while mine comes from seeing the oneness and unity of all (but even that statement alone implies duality:). It seems to come down to a core belief about separateness vs. oneness (again duality). Just today, one of my good friends, Laura, posted a link on my wall, “2012 A Message of Hope.” Here is the link in case you’d like to check it out: https://www.youtube.com/watch?v=r_YOG3jMlV4&feature=share. Last week (after one of our war/peace conversations), Tom invited me to attend a lecture on the philosophy of war, in an effort to help me to better understand why there is a purpose for war. I made Tom a deal. I’d attend the lecture if he’d watch the 25-minute video mentioned above. He agreed. Hopefully we’ll both learn something from this and bring oneness to what seems to be a topic of duality…in our home and in the world. What an interesting dynamic going on in your home this year! I think you two are well-equipped to study the two sides of the war/peace coin and unify them in some way. I love that you are both open to seeing what the other is learning. OK, so I guess my problem is this. Barring all other issues of culture and morality and religion, I can’t get past the fact that killing other people is bad. If you’re not starting from that view point, I have a really hard time in seeing your side. I expect that to be a basic human idea. I don’t think I can subtract that from my point of view. I understand that America has done some pretty awful things in the world. I understand distaste for our government’s policy. But I don’t really understand attributing that to every person in America. Maybe it’s just a case of overgeneralizations? Al Qaeda attributes all the ills of America to every American? Therefore, every insult was personally committed by every American? All are responsible, so all should pay for it? That, I can kind of understand…but the killing thing still escapes me. I suppose it’s that old dichotomy of traitor vs patriot. If you lose (because history gets written by the victor) you’re the former. If you win you’re the latter. The situation — including killing — looks different depending on which side of the table you’re on. In one case it’s murder and indefensible; in another it’s self-preservation and somehow reasonable. You’re giving me a lot to think about. Thank you for this, A. But let me just say this now. Unfortunatly, I think that Mr. Covey is right. There is evil in this world. But thankfully, I don’t think that’s the end of the story. To stop there is missing the whole point of the “seek first to understand” instruction in my opinion. I think we are ALL guilty of evil. Every. single. one. of us. But, thankfully, there is no evil out that falls out of the grasp of grace. When we become aware of our own need for grace, we can extend it to others. I don’t think grace means we don’t disagree. We don’t pursue justice. I just think it informs how we do those things. May we all see the world through grace-colored glasses! Very interesting to follow this idea. I know in my heart that this may be true for even Hitler, Pol Pot, Klebold & Harris, and others who have caused large-scale destruction and pain. But in my head, I have trouble seeing how. How does justice fit with grace? And what is the role of grace as we grapple to deal with 9/11? I think you are on to something. But I can’t quite see the way through it. 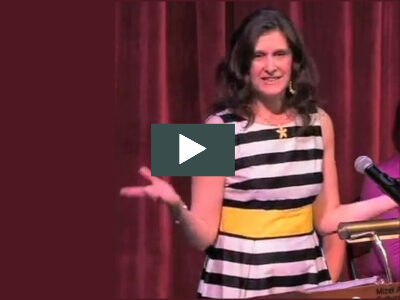 Thank you for sharing your story, Lori. I work in an office that practically worships Covey. Personally, I could take him or leave him. I wonder if the sheer enormity of 9/11 was even too much for him to take in? And I wonder what his take is now, 10 years later? And I don’t know if I have an answer to your question, either. His Habit: seeking to understand, than be understood – it really boils down to listening. But even when we listen, our hearts and heads cloud with our own set of self-perceiving judgments and biases. And that clouded vision makes it harder to respond with genuine openness. As dark as this sounds… I don’t believe in world peace. I just don’t think it’s a realistic, attainable thing. I believe in a just world, but not necessarily a peaceful one. This gets back to what Kym said. That we must be self-aware of our own lenses in addition to trying to see through another’s. You’re making me think about the relationship between justice and peace. I think I carry the assumption that the former is pursued to bring about the latter. So if it were possible to have a just world (using some universally agreed-upon definition of “just”), would peace follow? I must have missed this post when it first came out. I’m disappointed in Covey. He was a big influence of my husband at his B school. My take on evil is that there are a few people in history who are pure evil: Hitler, a bunch of his lieutenants, Charles Manson, Bin Laden. Trying to understand them is probably fruitless. But for the followers of them, that’s a different question. What in their lives brought them to the point of following such a person? And what can we do to prevent better situations for people like them, so there are better choices they can make in the future. I try to think of the small, everyday situations first. Can you feel how your whole energy shifts when you experience being “wronged” – by someone cutting you off in traffic, for example – when before you respond, you first think, I am no better than this person. Sometimes that awareness will lead you to let it go (like the traffic example). But sometimes, it will just inform how you respond. That thought has the power to take away our first impulse to respond in anger. It slows us down. It gives us space to think and respond from a place of calm. I hope that makes sense. My heart is with you as you grapple this really tough stuff. I admire your effort and hope the world responds in turn! May we be the start of a grace revolution – you and me, Lori. Let’s do this! I do see how it works in everyday situations. It’s what we are teaching our children — to slow down, to breathe, to respond rather than react. Off to read your post. 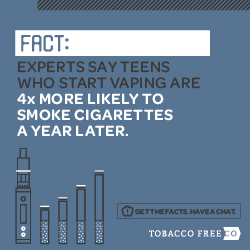 Thank you for your thoughts on this important topic! So this response is a few weeks late, but what I thought when I read Dr. Covey’s statement about “evil” was, no, there’s a lot of hurting in the world. Hurting begets hurting, just as healing begets healing. What we expected to be a rather lighthearted talk was, instead, exactly about what Dr. Covey said: that there is Evil in the world, and to deny its existence is to deny your ability to counteract it through your own actions. I don’t know, even 11 years later, how to understand the forces that made the hijackers do what they did, and I’m not sure I ever will. What I do know is that I can take actions in my life, every day, that put Good into the world instead of Evil. That’s what all of us can do. That’s an interesting question and one that I have tried to come to terms with. I have been unable to. I have really tried to understand that type of hatred. I have tried to understand the kind of anger that motivates people to commit horrific acts, but the truth is that I don’t. I don’t think there is a way to understand it. This post is so profound, as are the comments. Like Keiko, I would be interested to know if Covey had a different take on it after having more time to process it, since it took me years to work through my own thoughts. We could learn a great deal by seeking to understand the mindset of the terrorists. Nothing could lead me to the conclusion that what they did was right, obviously, but they had reasons… based on life experiences or their collective understanding of what our country has done or stood for or was attempting to do. Maybe the powers that be in our government understood the complexities of that mindset, but I certainly didn’t. From my vantage point, we tried to eradicate it without asking why it existed, and that makes me nervous that we only fueled the fire. You may say I’m a dreamer too. Or in the words of the lyrics I chose for my post: this is just a test. Take it with love and you will pass. I never read this post … but I’m glad I did today. And funny how the post I finally wrote on 9/11, though not exactly about 9/11, was also about the connections we make in crisis. I think you’re a dreamer. But I also think that some dreams can be made real. Here from the future via Time Warp Tuesday and appreciate the opportunity to re-read this post, as well as to revisit my own comment/perspective on it this time, last year. Heading back to the future to see where you are today on all of this. Let me know what you think and thank you for linking up to Time Warp this week! Ahh..but you did learn from Dr. Covey that day. We live in a world that wants to sugar coat, tolerate and have everyone be a winner. But the truths: not everyone wins and evil exists. How to combat it? Don’t ignore it. Learn from it. Stay far away from it. Replace good for evil. Have faith, hope and charity. And never give up. I think Dr. Covey got it right. Whatever the causes, motivations, prejudices of the attackers … there is no way of understanding it, at least for me, other than that evil exists. I don’t have all the answers (especially for an enormous thing like evil, 9/11) but I read a good book by Scott Peck (People of the Lie) which basically makes the point that evil is being lazy. He talks about parents that don’t want to make the effort with their kids. So by extension, 9/11 could be that the terrorists are too lazy to problem solve their issues, they would rather just blow things up and kill people. Sometimes I think that evil exists, and other times I think that untreated mental illness and cultural issues/grudges is at the base of “evil” acts. But what about holding grudges? It seems for most of recorded civilization, there have been people “getting even” with their neighbors, neighboring tribes/countries, for hurts that happened decades or even centuries prior. It this “evil”? (Or is it righteous when our own group does it, evil when it’s done by somebody else?) IMO, dismissing these patterns as evil is too simplistic, and doesn’t move us toward STOPPING these things. I do believe that evil exists, most of all in the human heart, just as good exists, and that blind fundamentalism of any stripe leads people to commit atrocities like the 9/11 bombings while believing they are doing good by doing what they perceive as their God’s will. They (or we) given the right circumstances, are able to dehumanize and demonize The Other to the point where mass murder is justified in their minds. This is a problem as old as humanity, but we keep making the same mistakes over and over, with increasingly more powerful weapons of destruction. We may come to understand fanatics, and indeed we ourselves may become fanatics, if we are not constantly vigilant not to let any religion or cause be bigger than the sanctity of all human life, or to let hatred allow us to see any group of people as hateful and worthy of destruction and death. This is an endless struggle for those whom Camus said at the end of his great allegorical novel of resistance “The Plague”; “while unable to be saints, refuse to bow down to pestilence and strive to be healers”. Thanks, Maryanne, for your thoughtful comment. I like how you point out that “given the right circumstances, are able to dehumanize and demonize The Other” — I tend to agree that we have both potentialities within us. When we distance ourselves from evil, saying it only comes from evil people, I think we set ourselves up to keep repeating the same mistakes. I’m wondering if each of us can resolve only the evil within us, and connect with the humanity within others to neutralize the evil. Love the quote you offered. I like a different book of Karen Armstrong’s, and I’ll check out the one you mention. Another I can recommend you is The Jesus Mysteries by Tim Freke and Peter Gandy, similarly about Literalism vs Gnosticism in the Jewish, Christian and Muslim traditions. Fascinating. After a visit to Turkey and Israel earlier this year, I became quite certain that the more things change, the more they stay the same. In the “Holy Land”, at many archaeological sites, there are diagrams of the layers—-they are layers of construction by one group, then destruction by another who do some constructing only to have their civilization brutalized by the next conquering group. In Jerusalem, I think there are 9 layers. The latest layer is the State of Israel, but why would any one assume that it’s not just the 10th layer. I think the scourge of human kind is tribalism and with the rise of nation states, it’s tribalism writ large. In today’s world, I think there are people of good will in all the” tribes”, but they (we?) get shouted down by the strident, the fundamentalists, the avaricious and some of the warriors. Along with the tribalism comes the intolerance of the “other”. I fear that the only way the human race will ever unify is if Earth is invaded by aliens from Outer Space at which point our respective “othernesses” will seem less consequential than the “otherness” of the space aliens . Throughout history, one tribe’s terrorist has been the other’s freedom fighter. I have now succeeded in totally depressing myself. Time to go out and find some rainbow kitten unicorns. “None the less, he knew that the tale he had to tell could not be one of a final victory. It could be only the record of what had had to be done, and what assuredly would have to be done again in the never-ending fight against terror and its relentless onslaughts, despite their personal afflictions, by all who, while unable to be saints but refusing to bow down to pestilences, strive their utmost to be healers.” I read this book in college in the 60s, and it continues to be relevant today. Suzanne, I agree with you and am also pessimistic about the future of humankind and our endless tribal warfare, but with Camus, think that we can only maintain our individual humanity by continuing to try to be rational and compassionate despite the odds. The US elections and refugee problem in Europe are particularly depressing. Lori, I have read several books by Karen Armstrong,; they are not easy reading but I think she is on the right track about a lot of things, besides being an amazing scholar. I will look for the book you have recommended. I am a very liberal Catholic married to a Jewish atheist, and also a reunited birthmother active in adoption reform for years, hence I was directed to your blog. 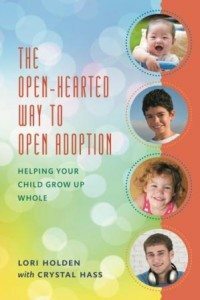 It is refreshing to see some intelligent discussion on an adoption blog, instead of the usual “tribal warfare” that adoption reform is plagued with. I think the vehement anti-adoption faction, although justified in their anger at how adoption has treated many of us, are as bad as any extremist group in seeking simplistic solutions to complex problems and demonizing those who do not fully agree with their agenda. I have also just become an adoptive grandma of two children from foster care, so am now seeing the other side of adoption. Thank you so much, Maryanne, especially for your last paragraph. If we can’t bring peace to the adoption community, how can we possible bring peace to the world? I say that kinda kidding, kinda serious. I think the key is the interconnection. How can we know, really know, that at a fundamental level, we are not all that different from each other. We want the same things — to love and be loved, to be respected and validated and heard — to matter. Can we all agree that if we set it up so that there’s a winner and a loser, we all lose? How can we stop Otherizing? “I think the scourge of human kind is tribalism.” Yes, it is certainly us operating at our lowest levels. Still, I can see how it served at one time as a means to keep a tribe safe from the unknown. As our skills at staying safe and our knowledge of our interconnection have grown, we have not kept pace at outgrowing that instinct to fear the Other. Have you read James Michener’s The Source? I read it while living in Syria and traveling in Israel. The layers you mention is the premise of the book — I think you’d be fascinated, as I was (not an easy read — brutal in places). I am pessimistic about peace in the world, or even peace and understanding in adoption reform circles. Those who seriously consider adoptive parents to be child-stealing “adoptoraptors” are not about to change their minds because the other side understands them. Also, I do not think dualism is necessarily wrong when we are dealing with real life situations, not lofty philosophical goals. Nor does knowing we all love our children and puppies and a good dinner really lead to understanding of serial killers and murderous terrorists when they step out of their everyday roles. Understanding why someone holds on to a belief does not really do anything about the damage people do in the name of their belief. You know, Hitler was kind to his dog, and to those he considered Aryans like himself, but so what? Evil that gets to the point of mass murder, whoever perpetrates it, just has to be stopped. Understanding does nothing, putting yourself in their shoes only makes you aware of the evil potential in all of us, it does nothing to stop it. We can be aware of this and stop ourselves from committing evil deeds, but it does nothing to stop others of fanatic mindset from terrorism in murder, The fact that they consider it justified and themselves patriots does not help those who are dead.